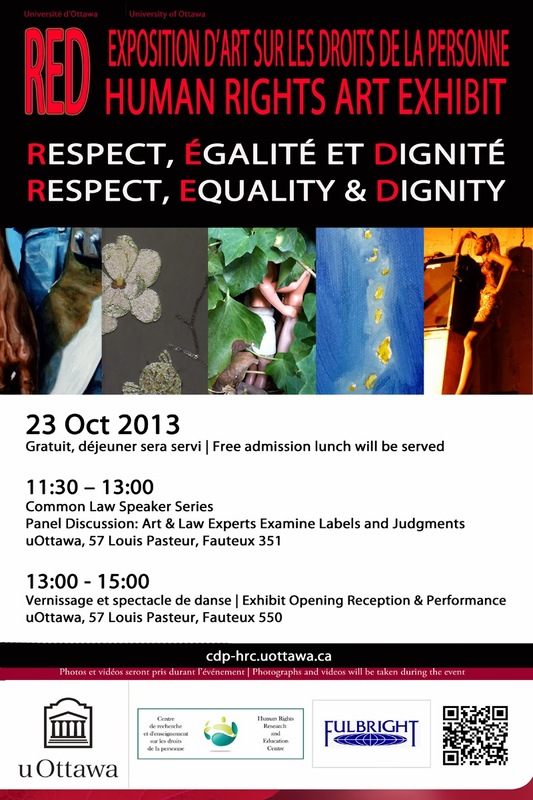 Upcoming Show: RED The Human Rights Art Exhibit! I will be showing some work in RED: The Human Rights Art Show at the Human Rights Research & Education Centre, on the campus of uOttawa. I got a sneak peak when I went to drop my artwork off and it will definitely be an interesting collection of social justice themed art. I'll have a piece showing about the prison industrial complex. Vernissage is 13:00 - 15:00 (1pm to 3pm) October 23, 2013. Show runs until Nov 22.